In previous years Sports Illustrated has put together beautiful coffee table books on football, basketball, college football, and golf, not to mention multiple swimsuit titles . 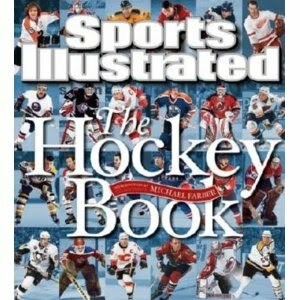 In 2010 they're finally coming out with Sports Illustrated The Hockey Book. Packed in the 256 pages are amazing photographs, tons of history and of course a collection of Sports Illustrated's best writing. George Plimpton, Michael Farber, Mark Mulvoy, Allan Abel and Ed Swift amongst others. Farber also provides plenty of fresh words, as well. Brought back to life are the game's greatest moments, from the days of the Original Six to the Miracle on Ice to the days of Gretzky and Lemieux. Also prominently featured are the games other greats, including Gordie Howe, Bobby Orr, Jacques Plante, Rocket Richard, Alexander Ovechkin and Sidney Crosby. But this book's three stars are simple: photos, photos, photos. I dare you to flip through this book at the bookstore and not immediately be mesmerized by the imagery. It really is an amazing collection of hockey history, with it's essence brilliantly captured by the camera's lens. It is so good that the Vancouver Sun newspaper review wrote "Whatever the greatest coffee table book on hockey used to be, it now shifts one seat down the bench to make room for the new boss of the gloss." I do not disagree with that assessment in the least. Check out Sports Illustrated The Hockey Book today. You will not be disappointed. 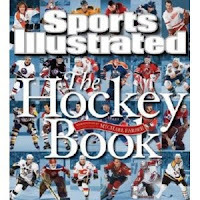 Sports Illustrated The Hockey Book - Following in the tradition of Sports Illustrated’s gorgeous, best-selling coffee-table books, The Hockey Book is destined to captivate not only hockey mavens but also all sports fans. No sport has produced more astounding photography, and this hardbound 256-page volume brings readers into the guts of the game, chronicling the careers of immortals such as Gordie Howe, Bobby Orr, and Wayne Gretzky. The book dips into hockey’s hardscrabble roots, long before goalies wore masks or skaters wore helmets and when ungentle teams such as Philadelphia’s Broad Street Bullies battled their way to the Stanley Cup. It also brings to life what is perhaps the most memorable sporting event of the 20th century: Team USA upsetting Russia and winning gold at the1980 Olympics in Lake Placid. The Hockey Book’s oversized photos are accompanied by an extraordinary collection of stories, from a stable of writers that includes William Faulkner, George Plimpton, four-time National Magazine Award-winner Gary Smith, and longtime Sports Illustrated pucks writer Michael Farber, himself a Hockey Hall of Fame inductee. Sports Illustrated shoots and scores with this collection. It would have made some sense to do The Hockey Book in autumn 2009 so it is on shelves for the Olympics, then do The Soccer Book for the World Cup in 2010.
i have a feeling that most of the book is filled with too many american hockey players....i'll pass for now, especially at the high price tag.